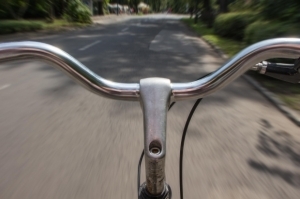 In 2012 alone, over 700 bicyclists were killed in roadway accidents across the country. In South Florida, 1,539 bicyclists and pedestrians were killed between 2003 and 2012. In fact, Florida is considered among the least safe places for pedestrians and bicyclists. It is statistics like these that have led to awareness campaigns in South Florida – as well as calls for changes. For example, each year bicyclists hold an event called “The Ride of Silence” in memory of bicyclists killed or injured in traffic collisions. 1) Share responsibility. Bicycle accidents in Miami and other cities often become situations involving a lot of finger pointing. Motorists blame bicyclists who run red lights and fail to obey the rules of the road while bicyclists blame drivers who fail to pay attention. 2) Educate drivers and bicyclists of the rules of the road. Drivers can be taught to look out for bikers and to drive safely and defensively to avoid collisions. Bicyclists must obey the rules of the road, too, and that means obeying traffic lights and signals as well as staying in the lane that is immediate to the right. Some groups, such as the Everglades Bike Club, have been holding meetings in order to reach new bikers about the rules of the road. 3) Fight distraction. Distraction is a danger both to drivers and bicyclists. Drivers who are distracted are less likely to see bicyclists and to respond in time to avoid collisions. Distracted bicyclists may not be looking out for other vehicles or may not be noticing and obeying road signs and traffic lights. 4) Use smarter road design. In Miami-Dade, more police officers are patrolling high-collision areas and reduced speed limits are being indicated with flashing signs in an attempt to curb traffic collisions. Many communities in South Florida also have long-term plans to make streets safer for pedestrians and bicyclists. Part of the problem with roadway safety in the area is that much of Florida was built up at a time in the twentieth century when the focus was on cars, and some communities were built without areas for bicyclists and pedestrians. These designs are changing, but the changes will take some time. 5) Encourage visibility. Bicyclists can help by wearing reflective and lighter-colored clothing, especially at night. Communities can help by ensuring that streets and bike pathways are well-lit. Ensuring that drivers can see bicyclists can help ensure that some accidents are prevented. Have you been injured by a reckless driver? Contact Flaxman Law Group, a law firm located in South Florida. From our offices in Homestead, Miami, and Hollywood our attorneys have helped thousands of traffic accident and personal injury survivors get back on track with court wins or settlements for their injuries. Our legal representation and attention to cases has helped these survivors go after the financial resources they needed to pay for lost wages, medical bills, property damage, pain and suffering, and other losses. Do you want to know whether you have a claim? Contact Flaxman Law Group today for a free consultation so that you can discuss your situation in depth with a member of our legal team.